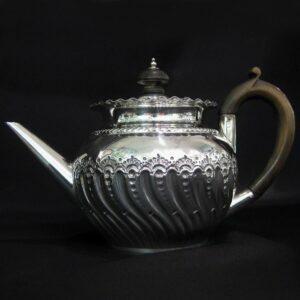 Batchelors/small tea pot by J Deakin & sons. 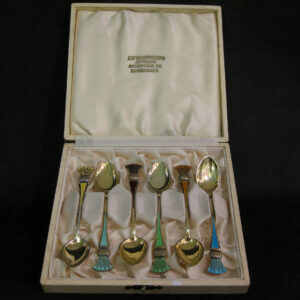 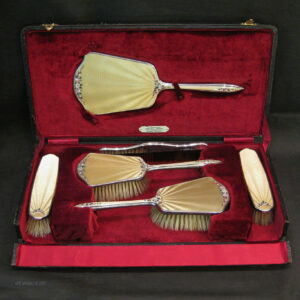 Boxed set of 6 sterling silver enamelled spoons. 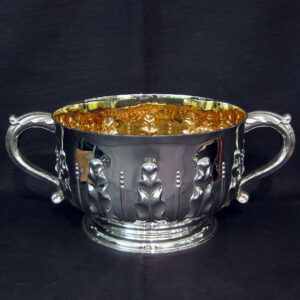 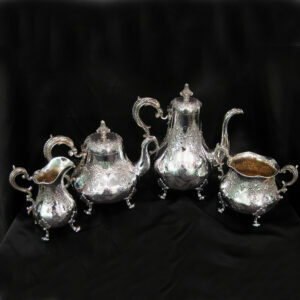 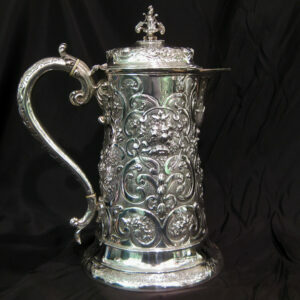 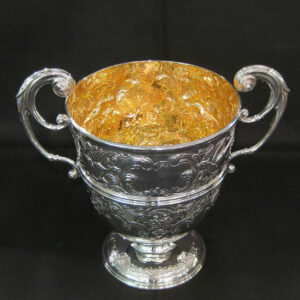 Exceptional Silver Beer Jug by Hennell. 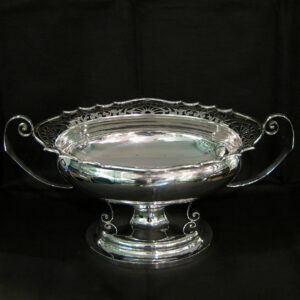 Gorham Poppy design sterling silver dish. 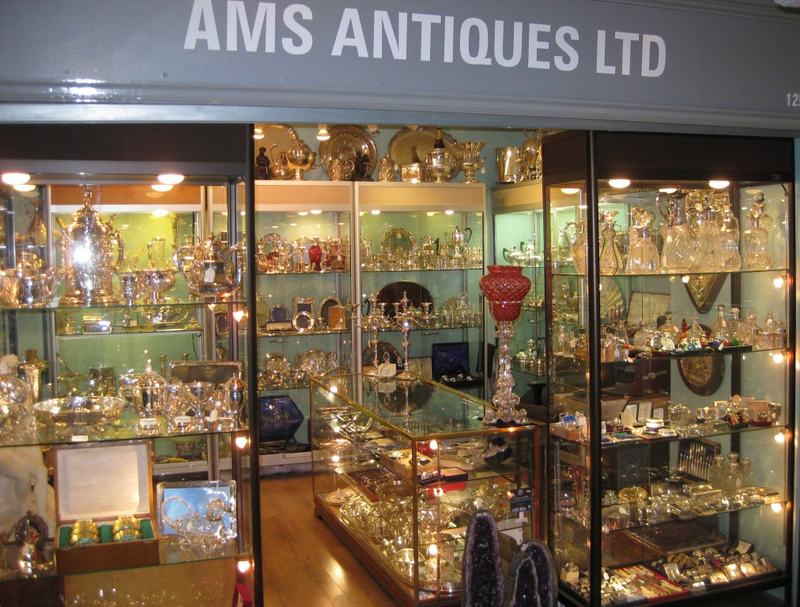 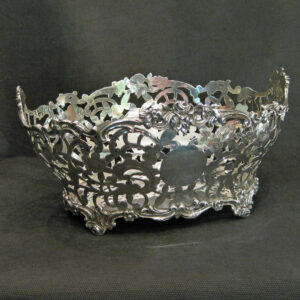 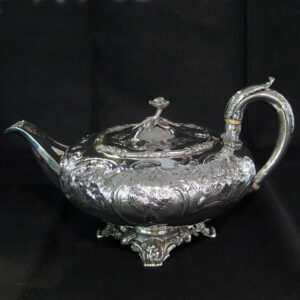 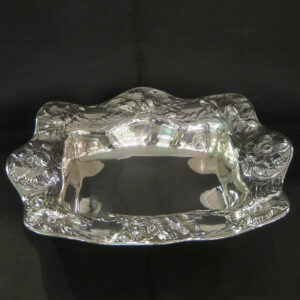 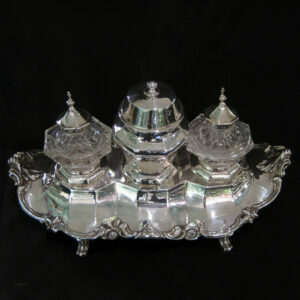 Large silver centrepiece by Walker & Hall.